This salad is absolutely gorgeous when you use blue potatoes – it comes out a brilliant purple! Peel and slice 1 red onion into 1/8 inch thick slices. Quickly slice 1 pound unpeeled potato into 1/8 inch thick slices and place into boiling water along with onion slices. Simmer, covered until vegetables are al dente, about 10 minutes. Dump vegetables into a colander set over a bowl. Discard the coriander seeds. Place the vegetables in a small bowl. Sprinkle with 1/4 cup chopped fresh dill. Pour 1/2 cup of the reserved liquid over vegetables and refrigerate overnight or for at least 4 hours. Before serving, taste and add sea salt and pepper if needed. Garnish with 2 tablespoons chopped almonds, pine nuts, or chopped pistachios before serving. If mixture is too moist to shape, refrigerate for 1 hour before shaping. Shape mixture into 8 patties and place on prepared pan. Broil 4 to 6 inches from heat for 5 to 6 minutes per side, until lightly browned. These patties are great as a sandwich on a whole grain roll with lettuce, tomato, and mustard flavored mayo. There’s no need to pay a higher price for single serving oatmeal or to settle for bland oatmeal because the flavored oatmeal has refined sugars or too much salt. You can easily make your own single serving packets of instant oatmeal flavored to your liking. 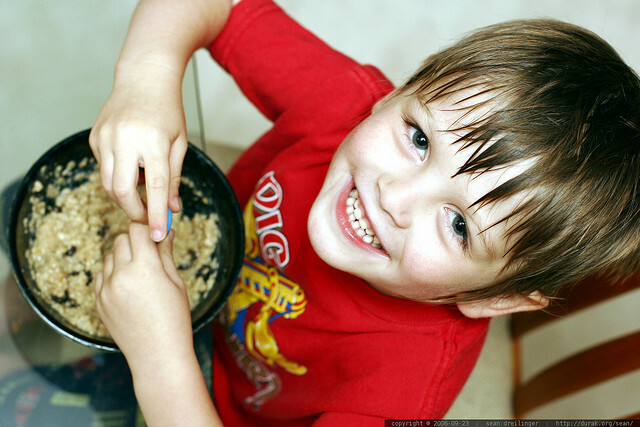 Put 1/2 cup quick-cooking oats in a blender and blend on high until powdery. Set aside in a small bowl, and repeat with an additional 1/2 cup oats. If you’re using a food processor, you can do 1 cup of oats at a time. Put the following ingredients into each baggie: 1/4 cup un-powdered quick-cooking oats, 2 tablespoons powdered oats, and small pinch of sea salt. Store baggies in an airtight container. To serve: Empty packet into a bowl. Add 3/4 cup boiling water. Stir and let stand for 2 minutes. For thicker oatmeal, use less water – for thinner oatmeal, use more water. Apple-Cinnamon: to each packet add 1 tablespoon unrefined sugar or sugar sub, 1/4 teaspoon cinnamon, and 1/4 cup chopped dried apples. Sweetened: to each packet add 1 tablespoon unrefined sugar or 1 packet Nutrasweet. Maple Cinnamon: to each packet add 1 tablespoon maple sugar & 1/4 teaspoon cinnamon. Raisin Maple: to each packet add 1 tablespoon maple sugar and 2 tablespoons raisins. Health Nut: to each packet add 2 tablespoons each wheat germ and ground nuts. Fruit & Cream: to each packet add 1 tablespoon cream and 1/4 cup chopped dried Fruit. Fun Fruit: to each packet, add 6 or 7 pieces of “Fruit snack” type dehydrated Fruit. Confetti: to each packet, add 1 tsp. decorative cake/cookie sprinkles. Chocolate Chip: add 1 tablespoon grain-sweetened chocolate chips to each packet.